Breast pumps and certain breastfeeding supplies would be exempt from state sales and use tax under a bill heard Jan. 25 by the Revenue Committee. 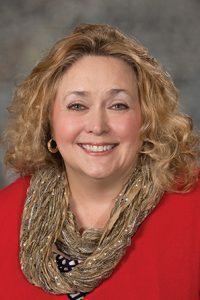 Introduced by Bellevue Sen. Carol Blood, LB13 would exempt breast pumps purchased for individual home use, breast pump repair and replacement parts, breast pump collection and storage supplies and nursing pads from the state’s 5.5 percent sales and use tax. A breast pump kit also would qualify for the exemption if the sales price of taxable items of tangible personal property in a kit is 10 percent or less of the kit’s total sales price. Supplies included in the proposed exemption include breast shields, breast pump tubes and valves, backflow protectors, bottles and bottle caps specific to the breast pump and milk storage bags. LB13 also would exempt breastfeeding a child from the state’s public indecency laws. The state Department of Revenue estimates that LB13 would decrease state tax revenue by approximately $203,000 in fiscal year 2019-20 and by approximately $302,000 in FY2020-21. Blood said that reducing the cost of breast pumps and breastfeeding supplies would help support Nebraska mothers. Health professionals and public health officials advocate for breastfeeding because it benefits both babies and mothers, she said. “We need to be sure that our legislation supports this natural act because it is what is best for Nebraska’s newest generation,” Blood said. Dr. Sofia Jawed-Wessel, an associate professor at the School of Health and Kinesiology at the University of Nebraska at Omaha, testified in support of the bill on her own behalf. She said LB13 would make it easier for working mothers to afford the supplies needed to continue breastfeeding after their maternity leave ends. Jawed-Wessel added that removing breastfeeding from the state’s public indecency laws would help mothers overcome another significant barrier—the stigma and lack of social support for breastfeeding. Although no one in the U.S. has been prosecuted for indecent exposure while breastfeeding, she said, most mothers do not know that, and the fear of being cited can keep them from breastfeeding in public. Also testifying in support was Andi Curry Grubb, state executive director for Planned Parenthood in Nebraska. She said the bill would ensure that a mother can feed her child in a way that is best for both. Curry Grubb said that after choosing to breastfeed her child she was shocked to learn how expensive high-quality breast pumps and breastfeeding supplies can be.